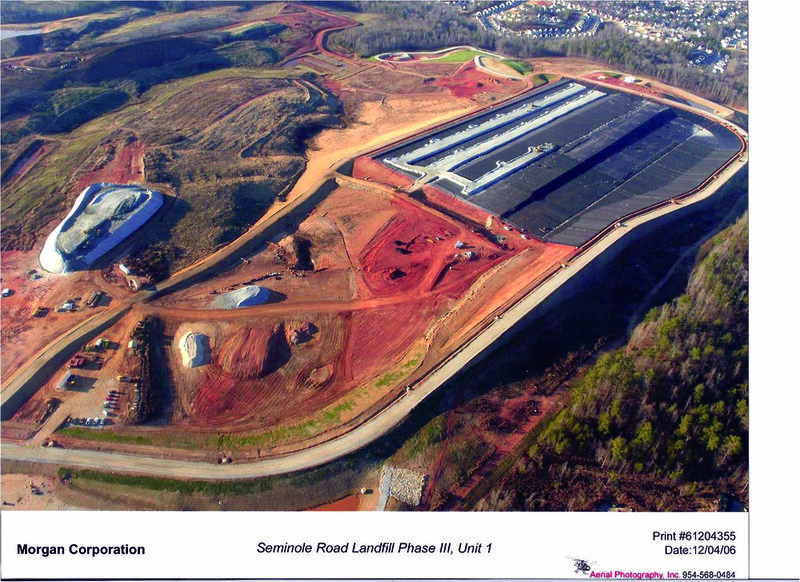 Seminole Road Landfill, Phase 3, Unit 1 — Morgan Corp. This project entailed the construction of a new 40-acre Subtitle “D” landfill cell with a double 60-mil HDPE liner system. 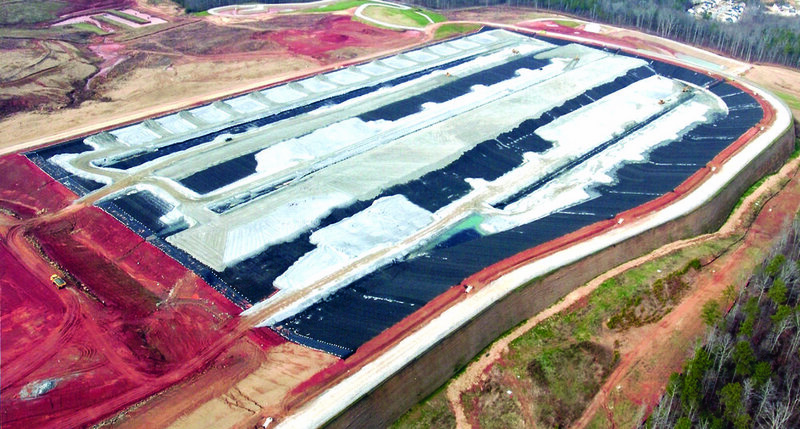 Morgan Corp. placed two geocomposite layers and storm water tarp (200 overall acres of geosynthetics), 5,000 linear feet of leachate piping, and a 250,000 gallon leachate storage tank. Approximately 1,800,000 cubic yards were excavated, of which 176,000 cubic yards were mass rock, which was drilled and shot. 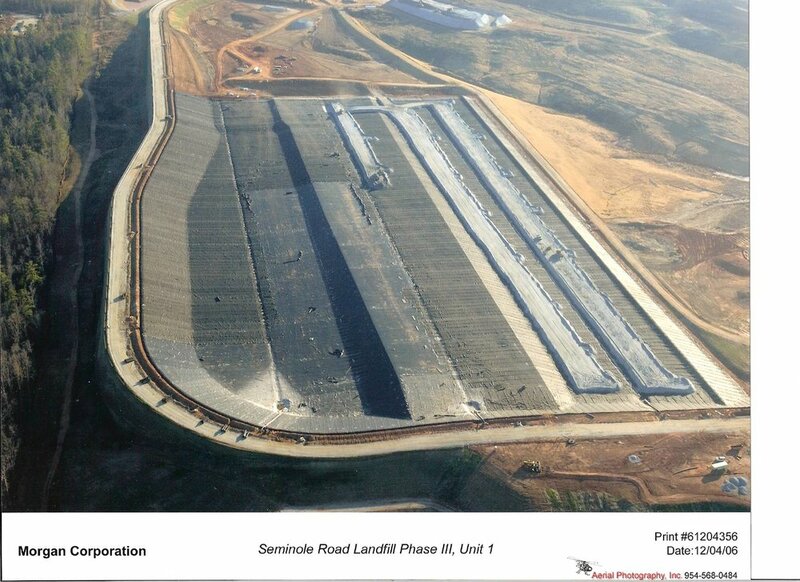 Our workers also installed 40,000 cubic yards of minus 5 clay liner, 225,000 tons of protective cover sand, and a unique requirement: 3,000 linear feet of geogrid reinforced earth slope (60-80 feet in height). Morgan Corp. addressed a number of infrastructure improvements on this job and handled the clearing and erosion control of 250 acres. This project had significant overruns of rock excavation. In addition, Morgan Corp. received several million dollars of change orders resulting from an increase in scope. Despite these challenges, the project came in on schedule.